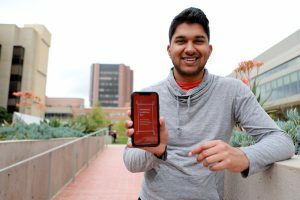 After being impacted by suicide in his senior year of high school, Sahen Rai, a first-year computer science student, is using his newly learned skills to put numbers to feelings. He views his mobile app, You Are Loved, as one way to foster greater wellbeing. 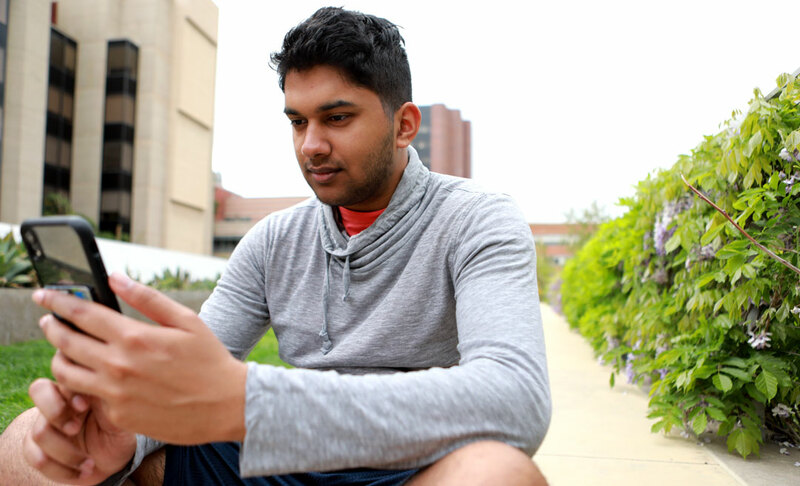 We sat down with Rai to ask why he believes his app can make a difference. Why did you create You Are Loved? After a high school classmate committed suicide, I realized one of the greatest challenges for individuals who are suffering is not being able to verbalize what they are feeling. We can easily describe how we broke our leg and the associated pain, but just telling people you are sad or struggling emotionally can be difficult. You Are Loved is a non-verbal way to communicate with a trusted circle of family and friends. You Are Loved lets users rate their happiness each day on a scale from zero to 10, which your support network can view. If a user continually enters low happiness ratings or enters an extremely low rating at any given time, the app sends an alert to the network and directs the user to suicide prevention resources. The app also provides a graph to help track mood swings, uplifting news stories to give users an added boost of positivity, as well as daily reminders that they are loved. If your app could accomplish one goal, what would you want that goal to be? I want You Are Loved to demonstrate that feelings are mentionable and actionable, and that reaching out or helping others overcome negative emotions is powerful. My goal is to show people they are loved and they matter. I sincerely believe the app can benefit everyone since we all have hard days or difficult feelings to work through. What was the process of creating the app like? What challenges did you face? I learned the process of iOS app development over the course of a few months, and created the app as I learned. Whenever I encountered a bug, I simply looked up the problem and how to fix it. I kept trying until everything worked out. I would say the hardest part was worrying whether I was capable of taking on a project this size. Being around like-minded students has definitely inspired me to work my hardest. How was your first year at UCLA Samueli? First year has been tough and rewarding, but a really great experience overall. Initially, it was hard for me to adjust to the rigor of classes at UCLA. I often struggled to get good grades on midterms and finals, and still do to some degree. I also had to adjust to being far from home back in Minnesota, but I was able to get through it because of the many friends I’ve made here. The clubs I have joined, like UCLA ACM, have really made me feel like I’m part of the UCLA community. What’s also helped this quarter is working on You Are Loved. I had missed the feeling of being successful at school, and worried that because of struggling in classes I would never feel that sense of accomplishment. But working on the app made me feel that again. It made me realize that although I have to adjust to the rigor of a college course load, I’m still capable of doing things that I can be proud of. I initially went through somewhat of a rough time, but I want everyone to understand that no matter where you are and how you are feeling, it definitely gets better.